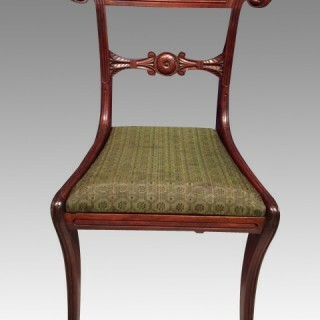 A good set of six Regency mahogany dining chairs with finely carved cresting rails and centre splats, drop in seats and reeded Trafalgar legs.English Circa 1820. 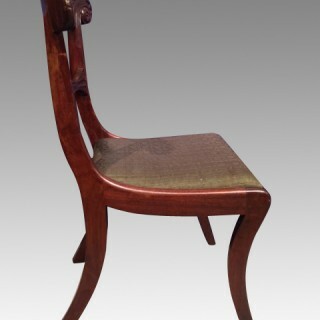 The chairs are made from top quality mahogany and are in good condition with excellent colour and patina. 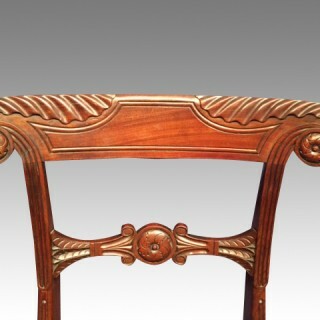 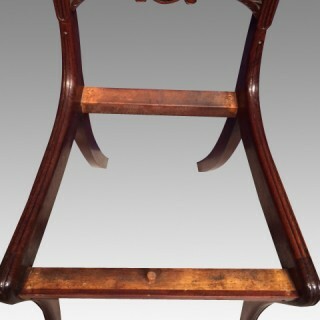 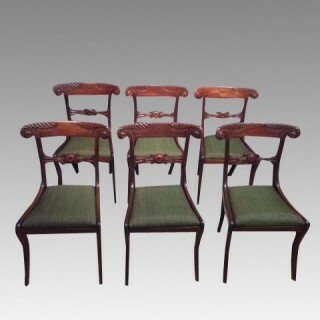 A set of six Regency mahogany dining chairs.